>>If registering after 5:00pm CST on Friday, February 8th, Course Instructions will be emailed during the check-in period on Saturday, February 9th. Thank you & we look forward to having you with us! Each participant is recommended to have a yoga mat/towel and gym ball (fits you to sit at 90/90) available during the course to utilize during online labs. The instructors will demonstrate the use of the Gertie Ball and the Power Up Ball throughout the course. 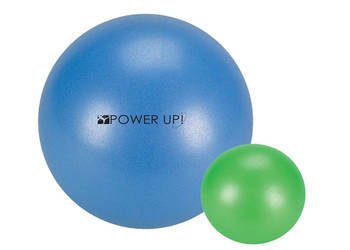 Though they are not required to attend the course; access to these therapy balls can provide participants a hands-on experience during online demonstrations. You can receive both therapy balls for the special rate of $25 when you add the Therapy Ball Bundle to your course registration (S&H fees may apply^).